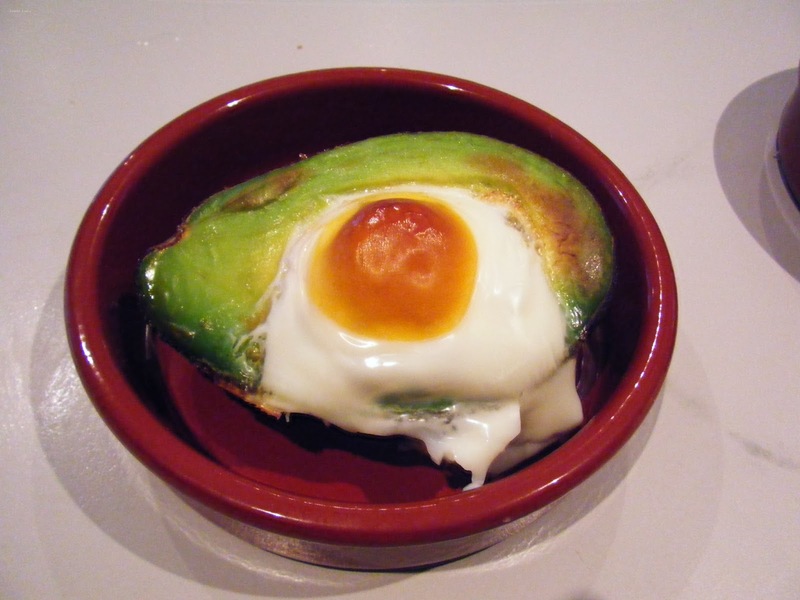 Pinterest is often a source of inspiration in my kitchen, these baked avocado eggs were another project that I was wanting to try after seeing some drool worthy avocado eggs pics pinned. While the execution might not be up to Pinterest standards let me tell you the taste certainly was and after learning a little about food styling at a blogging conference last summer, I'm a little wary that not all of what you see posted in editorials is even edible. I tell myself this frequently to soothe the pain of Pinterest fails and poor composition, it kind of works too. 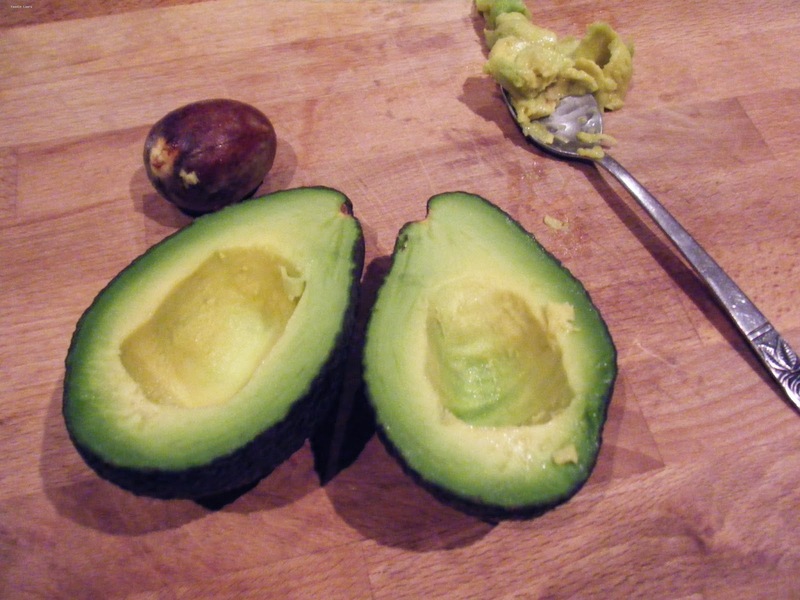 Cut the avocodo in half and remove the stone. Scoop a little more flesh out around the pit that the stone has left. It needs to be deep enough to hold an the egg, I'd advise you go a bit deeper than I did. Put the avocados into an oven proof dish. I used the avocado stone to prop up one half of the avocado as it needs to sit flat or the egg will run out. 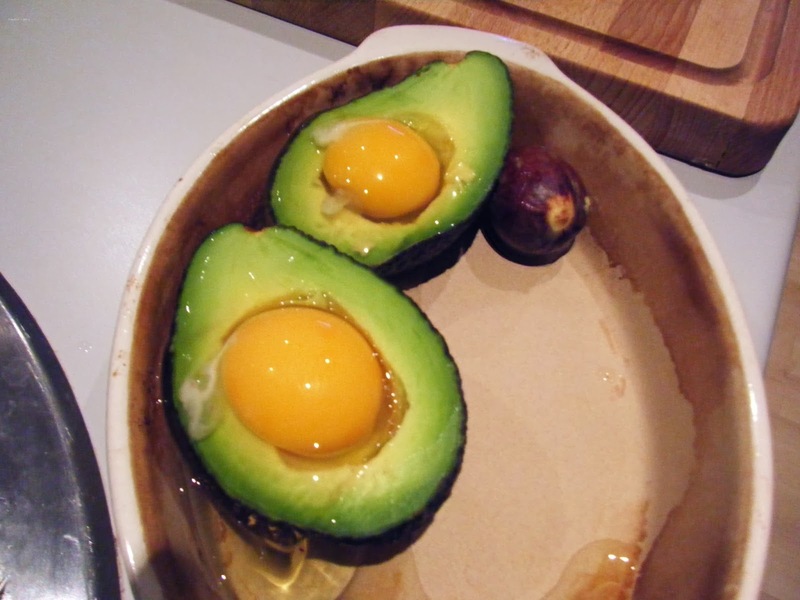 Crack one egg into each avocado half. Sprinkle a little salt and pepper over each avocado to season it. If you are on Pinterest check out my "things I want to bake" board. What Pinterest project are you hoping to tackle?